(NaturalNews) Mushrooms are unique when it comes to classifying them as a food source. Though many people might identify them as vegetables when pressed to categorize them, mushrooms are actually neither a plant nor an animal. Instead, they are a fungus, and one that has been prized for centuries for its properties that tend to lead to good health. In fact, mushrooms were so prized that the ancient Egyptians thought that eating them would lead to living a longer life. As modern medicine is discovering, those ancient cultures were not that far off the mark. Of the 100 species of mushrooms that have been studied for their cancer-fighting properties, about six of them are proving to be real standouts in this regard. The studies of mushrooms have pinpointed numerous ways in which they boost the immune system. For example, long-chain polysaccharides, especially beta-glucan and alpha-glucan molecules, have been found to be the primary impetus behind the health benefits of mushrooms. One promising study showed that simply adding one to two servings of dried shiitake mushrooms to the diet has a modulating and beneficial effect on the immune system. Maitake mushrooms have been shown to include a compound that stimulates breast cancer patients' immune system. Peptides, lectins, laccases, fungal proteins and other compounds have also been shown to be effective at boosting the immune system. While these results are very exciting, other research has pointed to mushrooms being directly anti-cancerous as well. A Japanese animal study involving mice revealed that those who suffered from sarcoma showed remarkable results after being given shiitake mushroom extract. Six of the ten mice showed complete regression of their tumors. With slightly higher concentrations of the extract, however, all ten mice showed regression of their tumors. Also in Japan, mushrooms are often used as an alternative form of medicine for those who are suffering from cancer. One is the extract of the shiitake mushroom, while the other is a mushroom called Agaricus subrufescens. This mushroom is also often known as Agaricus brasiliensis and Agaricus blazei. 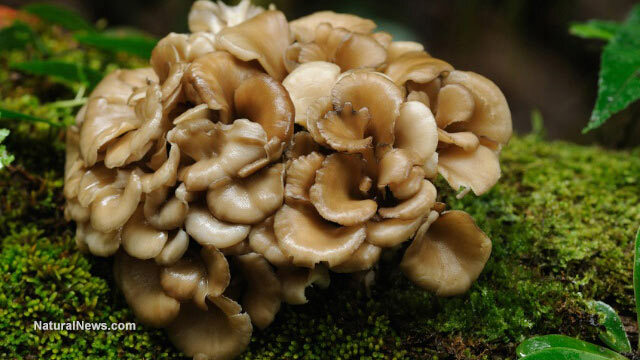 When the extracts from the maitake mushrooms are combined with vitamin C, the growth of cancer cells in the bladder was reduced by 90 percent. In some cases, this combination completely killed the cancer cells. Lentinan, a compound found in shiitake mushrooms, has been shown to increase survival rates in cancer patients. These results are great news for those people who are looking for an easy, and tasty, way to boost their immune systems and fight off almost any type of cancer that ails them.